Gale force winds and some icing on roads. 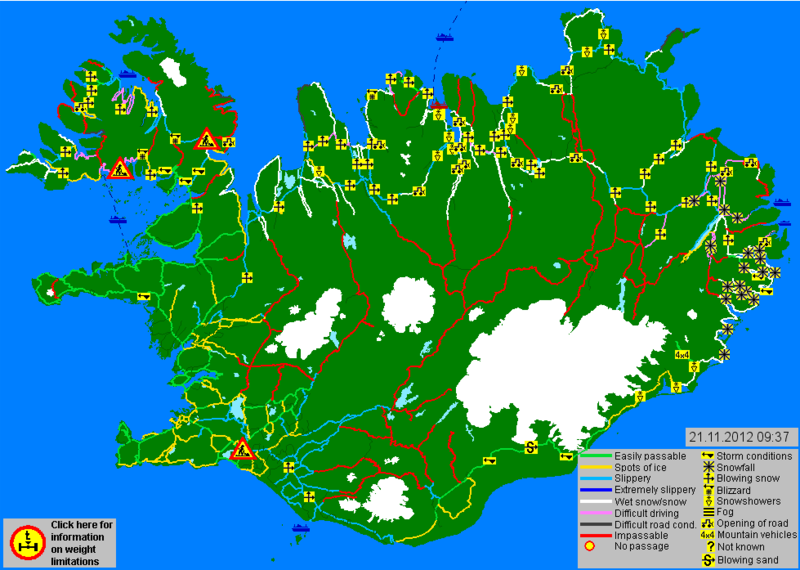 For anyone traveling in Iceland today November 21st we recommend you check the weather and road conditions frequently. Today there will be strong winds in the South East of Iceland but will go down as the day progresses and some icing on the roads in some parts of Iceland. Please click on the image above for more details.